Coming together back in 1992, Germany’s End of Green are a Rock band that are difficult to categorize. 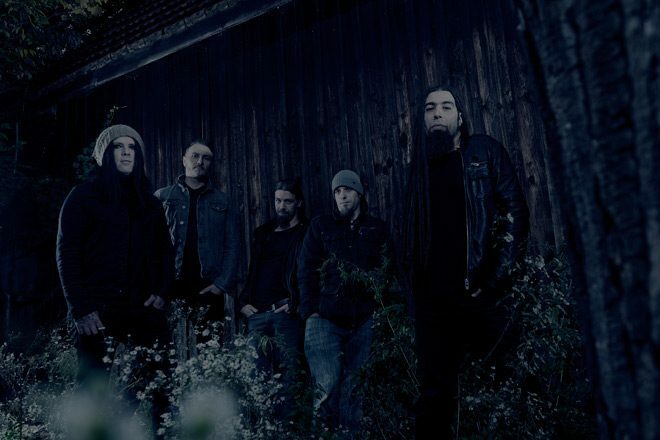 Somewhere between Gothic and Doom Metal, with dark, often somber lyrical content, matched with a heavy tone, in the past the band has described themselves as Depressed Subcore. An interesting title all their own, for the sake of the layman, let us call End of Green a one of a kind melodic Hard Rock band tackling some of the darker elements around. This is not to say their music is without hope, in fact, to many, it is the complete opposite, because in darkness there is sometimes light. Fronted by the unique voice of Michelle Darkness, the talented singer can go as deep as the late Pete Steele of Type of Negative, but while maintaining a one of a kind style all his own. Together, he, Kirk Kerker (guitar), Lou Siffer (drums), Sad Sir (guitar), and Rainier Sicone Di Hampez (bass) have set out on a musical journey over the past 25 years, making them a diamond in the rough of heavy music. Now, the less in tune listener is probably thinking, “Who the hell are End of Green?” Well, if you are one of those, it is time to learn. Returning with their ninth overall studio album since 1996, End of Green bring listeners Void Estate on August 18, 2017 via Napalm Records. Their first full-length album since 2013’s The Painstream, at just under an hour in length, Void Estate is 11 songs of moody, thought-provoking, and, yes, dark sounds that End of Green are known for. As stated, End of Green are a band that honestly flies under the international scene’s radar. Even still, they have a core following in their home country as well as other European nations, but those who know the band would agree it is time they attain a new level of recognition. Rightfully earning their dues, in years past, End of Green have released some of the most outstanding music around in Hard Rock with albums such as 2003’s Last Night on Earth, 2005’s Dead End Dreaming, and 2008’s The Sick’s Sense, to name a few. Standing out among the endless pool of heavier bands, End of Green songs provoke an emotion far more than just the bellows of a bunch of guys who hate life. No, these guys strike a chord with their darkened perspective of the world, one far more striking than the average band. 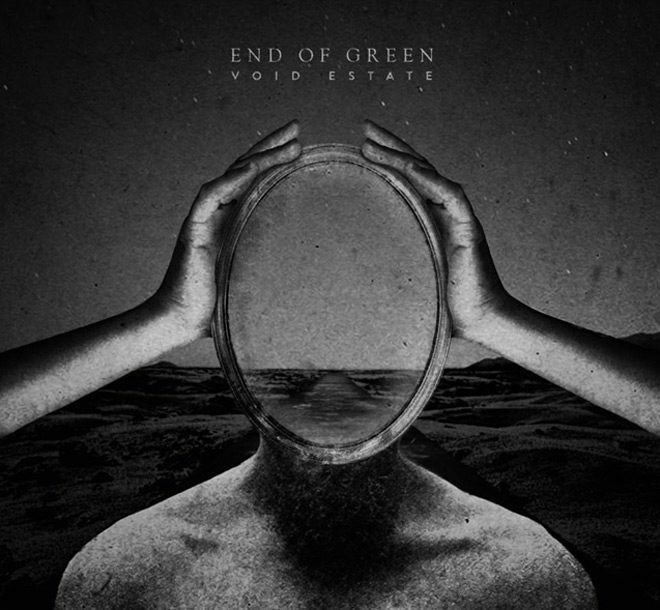 This said, with Void Estate, End of Green continue their broody journey, gifting some very well written and executed tunes. From the opening of “Send In The Clowns,” they strike the canvas with a powerful first stroke as Darkness expresses a tone of detest for the past. This atmosphere remains consistent throughout the album as heard on songs such “Darkside of The Sun” and “The Door.” Acting almost as a personal diary being read out loud by Darkness, “Head Down” expresses deeper sorrow where “Crossroads” is perhaps the most insightful of tunes on Void Estate. With more of a uplifting tone, the words are simply ingenious as Darkness lays it all on the line, singing words such as “One path leads to paradise, one path leads to shame, one path leads to freedom, they all look the same.” These are not the words of a man looking to give up, but a mortal running through regrets in his mind like any of us would. With the lyrical themes remaining a bold point in End of Green’s music, another aspect that should be pointed out is the songs structure and the texture of the instruments. In the past, they have often been defined by heavy guitars, powerful drumming, and, of course, Darkness’ untamable voice. Broadening their sound through the years, as heard on other albums including Painstream, with Void Estate, they opt to go more dynamic, allowing melodies to breath, and subtle sounds stand out. A prime example of such is “The Unseen,” a tune with some beautiful progressions and delicate touches throughout, almost harnessing a Classic Rock style. All in all, End of Green continue to tap into the vein of sorrow in a way only they can. Sincere and from the heart, the songs heard on Void Estate are fitting to End of Green’s legacy. For those familiar with their music, think the tone of tracks heard on Last Night on Earth with the progression of later End of Green material heard on albums such as 2010’s High Hopes in Low Places. For others whom are just learning of End of Green, Void Estate is a good starting point because it encapsulates all the best elements that make up the band. It should serve as a gateway into older material and its songs should stand tall against End of Green standouts including “Tragedy Insane,” “Cure My Pain,” and “Dead City Lights.” For these reasons, CrypticRock gives Void Estate 4.5 out of 5 stars.